Populism is a political idea that really creates a way of life for those that follow it's theories. Not sure if you fit into this category well this is the quiz for you! Are you a populist? Find out take the quiz! It's only 12 short multiple choice questions and then you'll be told how you fall on the scale of populism. Happy quiz taking! 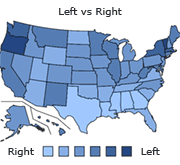 Who do you think should hold the most political power in the US? Are you in favor of sharing the wealth in America? No, I earned my money I'm not sharing! Eh, maybe if someone really needs it. What leader do you admire the most? Who should the social security act protect? The elderly, widowed women, and children. What political group do you belong to? Who caused the great depression? How long should the average workday be? Should ones personal assets be limited? If America is so wealthy, why are there so many poor people? Are you optimistic about people's ability to make decisions about their own lives? No, people need political leaders! Quiz topic: Am I a Populist?